NP Stacy Street Yard, Seattle, December 13, 1959. My sister and I were taught from an early age to be grateful every day for our blessings, rather than wait for Turkey Day. Speaking of my sister, she has a number of friends up in Vancouver and Richmond BC. So she gets to partake of two Thanksgiving feasts, since our Canadian neighbors celebrate Jour de l'Action de grace earlier in the month. 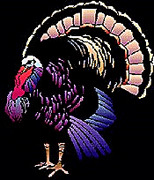 And so I have a "Happy Day" story to share with you on a day when we give thanks for our blessings. This grand lady can certainly count her blessings, spared the cutter torch on more than one occasion! I knew her as Port of Olympia #2 when I snapped this shot of her sitting at Stacy Street yard in Seattle. 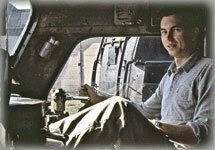 I was a young man of 15, and really did not know until a few years later what I'd shot! It is a long story, which I will spare you. Baldwin Locomotive Works built the locomotive in May 1910, for the Black Hills (Washington State) & Northwestern Railroad #7, a subsidiary of the Mason County Logging Company of Bordeaux, Washington, near Olympia. She stuck like glue to the rails, with those water tanks straddling her boiler. 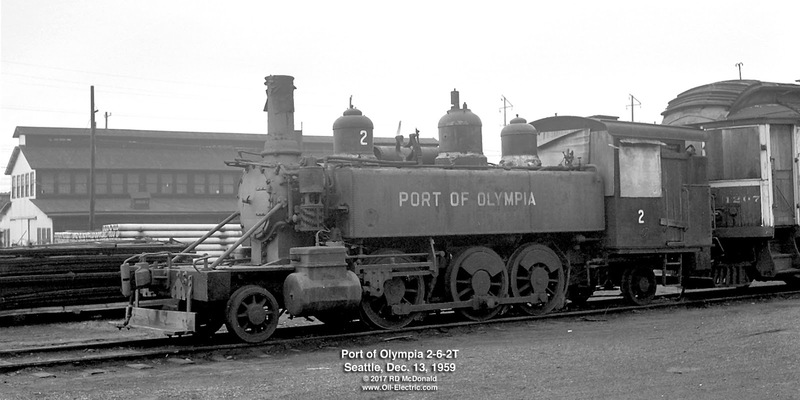 In 1928, Mason County Logging sold #7 to the Port of Olympia for use as a switch engine around the docks on Budd Bay. The Port operated her as # 2 until her retirement in 1955. 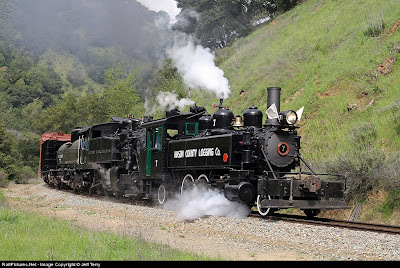 The locomotive was purchased in 1956 by Charlie Morrow of Seattle, one of the founders of the Puget Sound Railway Historical Association, reorganized and re-named the Northwest Railway Museum, at Snoqualmie, Washington. She was on her way via the Northern Pacific when I captured her waiting for her next movement, at Stacy Street in Seattle, in July, 1958. Owner ship next went to Maynard Lange, also a founding member of the PSRHA, and sent to the Mount Rainer Railroad in Elbe, Washington. Maynard was train chaser with Elwin Purington. So I, by default, joined up with them at the PSRHA. When Maynard passed away, Chris Baldo of Willits, California, purchased PoO#2. 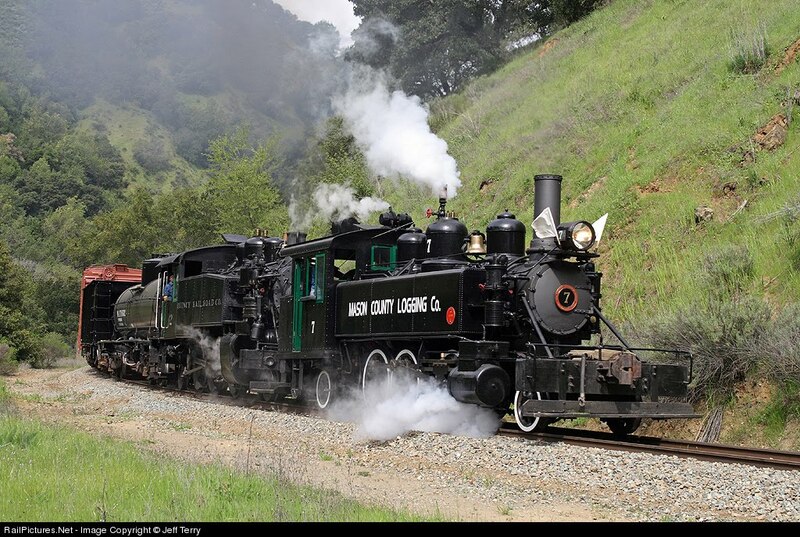 She was refurbished at the "Roots of Motive Power" in Willits, and become one of their star attractions. Now that's a great "Thanksgiving Day" type of story, don'tcha think?